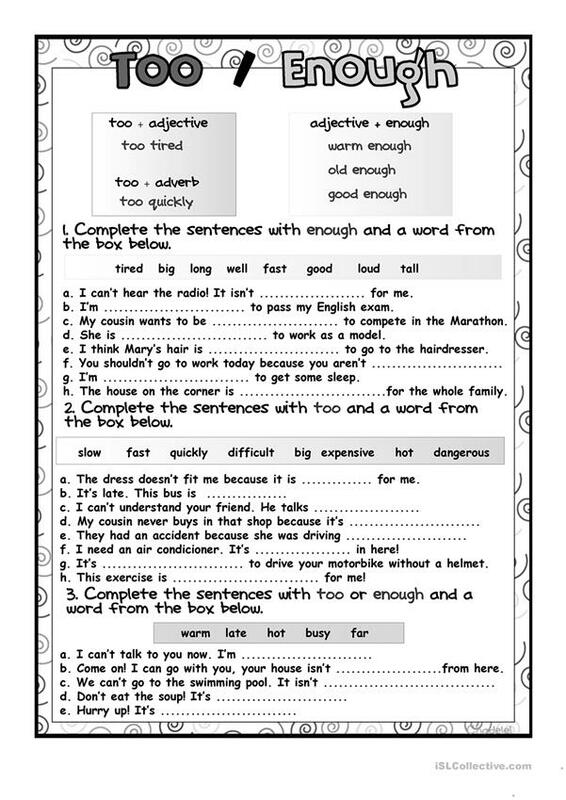 A worksheet to practise too and enough (adverbs) with adjectives. Thank you. Cha. This downloadable teaching material was created for high school students and adults at Elementary (A1), Pre-intermediate (A2) and Intermediate (B1) level. It is aimed at practising Too and enough in English.